Healthcare companies have reported their earnings from the final quarter of 2018, revealing some success stories and some ongoing struggles. Earnings season for Q4 2018 has concluded for companies across the healthcare industry, from insurers, for-profit providers, telemedicine companies, and others in between. Given the challenging market conditions during the final quarter of last year, including the surprise federal ruling that struck down the Affordable Care Act as unconstitutional, many companies reported weaker earnings than they did earlier in 2018. However, some were buoyed by new intitiatives and product performance that sustained a level of success they intend to carry into 2019. The Minnetonka, Minnesota-based insurer led the pack again, ending 2018 on an upswing thanks to Optum’s record-breaking performance. The PBM subsidiary recorded year-end revenues above $100 billion for the first time ever. Based United expects to achieve revenues above $240 billion in 2019. 2018 was a strong year for the St. Louis-based insurer, finishing with more than $60.1 billion in revenues. Managed care membership reached 14 million, an increase of 15% year-over-year. Centene’s net earnings for Q4 2018 were $241 million, an increase of $11 million year-over-year. IngenioRX, Anthem’s PBM slated for debut in 2020, is now expected to launch in Q2. The subsidiary is expected to achieve gross annual savings north of $4 billion, including more than 20% returned to shareholders. Anthem added 37,000 medical enrollment members in Q4, and saw its operating gain grow by 30% year-over-year. The Purchase, New York-based telemedicine company produced revenues of $122 million and saw total visits rise by 70% while net losses fell. The company still has sizable net losses to account for, posting a net loss of nearly $25 million in Q4 and $97.1 million for the full year. Despite some positive financial metrics, Teladoc’s issued a tepid financial guidance for 2019. While we still wait on final federal approval for the megamerger set to drastically change the healthcare landscape, CVS Health posted its earnings report from a difficult Q4. The Aetna merger played a role in rising revenues by 12.5% for CVS in the last quarter of 2018, but it also hampered some crucial metrics. CVS suffered a net loss of $421 million in Q4 2018 and $596 million during the full year. However, CEO Larry Merlo said he believes CVS’ acquisition of Aetna provides the company with “long-term value” in a rapidly transforming market. As with CVS, a megamerger couldn’t save Cigna from a down quarter to wrap up 2018. The Philadelphia-based insurer produced $14.3 billion in total quarterly revenues and $144 million in net income, but failed to meet earnings estimates after closing its deal with Express Scripts. Overall, Cigna capped off 2018 with total adjusted revenues of $48 billion, a 15% year-over-year increase, along with a net income of $3.6 billion. Amidst lingering divestiture activity, CHS posted a net loss of more than $325 million. CHS recorded a net loss attributable to shareholders of $328 million in Q4 2018, down from a net loss of more than $2 billion during Q4 2017. On one positive note, the the Franklin, Tennessee-based for-profit hospital operator did manage net operating revenues of $3.5 billion, an increase of nearly $400 million year-over-year. Tenet experienced a net loss of $5 million in Q4 and saw its full year operating revenues decline 4.5%. The Dallas-based company’s quarterly adjusted EBITDA fell 34.6% year-over-year. Segment profit fell to $16 million in Q4, down 83.8% year-over-year, and only reached $228 million in 2018, a 26.7% drop. Net revenues for 2018 did increase more than 25%, a lone bright spot for Magellan. CEO Barry Smith remains confident despite the significant financial declines over the past year. Medicare Advantage insurers added 1.4 million members to their rosters for 2019 coverage, as they looked to grow membership in a market known for being politically safe and predictably lucrative. But Advantage membership is growing at a slower pace compared with previous years. 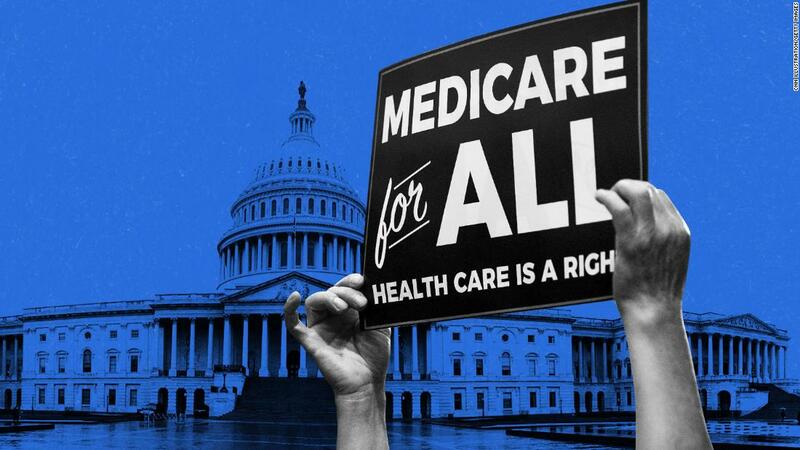 According to the latest federal data showing enrollment as of this month, 22.4 million people are enrolled in Medicare Advantage for 2019 coverage—an alternative to the traditional Medicare program in which private insurers contract with the federal government to administer program benefits. That’s an increase of 6.8% since January 2018. Health insurers, however, managed to grow their Advantage membership base by more than 1.5 million in both 2016 and 2017. Some industry experts were expecting more. “The formula was there: Health plans were aggressive, they got nice rate increases, the rules around benefit design relaxed a little bit,” explained Jeff Fox, president of Gorman Health Group, which provides technology and other services to Medicare Advantage plans. Fox expected Advantage enrollment to increase by double-digits over the past year, as health plans invested heavily in marketing and the federal government provided one of the biggest rate increases for the plans in years at 3.4%. The Trump administration also granted Advantage plans the flexibility to provide more supplemental benefits in 2019, such as transportation and in-home care. But Fox said distraction from the craziness of the November midterm elections may have kept some seniors from enrolling during the annual open enrollment that lasted from Oct. 15 to Dec. 7, 2018. While the CMS data captures some of the sign-ups from open enrollment, figures out next month are likely to be higher. Despite the slower pace, many Advantage insurers still experienced big enrollment increases as they picked up more market share. About half of all members are covered by just three companies. UnitedHealth held onto the top spot, adding nearly 500,000 Advantage members in the past year for a total 5.7 million. UnitedHealth holds more than a quarter of the total Medicare Advantage market share. Humana remained the No. 2 Advantage insurer with 3.9 million members, an increase of 10.4% over January 2018. But thanks to its acquisition of Aetna, CVS Health took the No. 3 spot with 2.2 million Advantage enrollees. Kaiser Foundation Health Plan and Anthem rounded out the top five insurers with the most Advantage members. On a percentage basis, Anthem and Aetna grew membership the fastest. Anthem’s Medicare Advantage membership spiked 53% to 1.1 million members compared with the same time last year. The Indianapolis-based insurer has long focused on serving employers, but recently turned its sights to growing Medicare Advantage rolls through acquisitions and expansions in places where it already operates. Anthem bought Florida-based Medicare plans HealthSun in December 2017 and America’s 1st Choice in February 2018, together giving Anthem about 170,000 more Advantage members. Anthem CEO Gail Boudreaux told investment analysts in July that the company would focus on selling group Medicare Advantage plans and serving medically complex dual-eligible members in 2019. CVS Health, meanwhile, grew its Medicare membership by 26.7% in 2018 to 2.2 million through its acquisition of Aetna. The deal is still technically awaiting a federal judge’s approval. In a research note Monday, Barclays equity analyst Steve Valiquette noted that Aetna’s membership growth was driven by its expansion into about 360 new counties. Valiquette wrote that the growth experienced by some public health insurers during the annual enrollment period for 2019 coverage was driven more by market share gains than by industry growth. Medicare Advantage enrollment is climbing as the baby boomer generation ages rapidly into Medicare. Those seniors are used to employer-sponsored managed-care plans and are choosing Advantage over traditional Medicare more often than previous generations did. Seniors also often get more benefits, including dental care, eyeglasses and gym memberships, with an Advantage plan. Medicare Advantage also enjoys support from both political parties and is able to weather swings from one federal administration to the next, whereas insurers that sell plans in the individual market, for example, may have to deal with more volatility. Moreover, Medicare Advantage margins tend to hover between 4% to 5%, whereas Medicaid margins come in at 2% to 3% and the individual market historically has had even lower margins, S&P analyst Deep Banerjee told Modern Healthcare in August. The group employer business has higher margins, but that market isn’t growing like Medicare Advantage is. Specialty drugs made up about 3% of prescriptions in California in 2017 but accounted for more than half of the prescription drug spending that year, according to new report that compiled drug spending from nine insurers in that state. According to the first Prescription Drug Cost Transparency Report released by the California Department of Insurance, there were about 270,000 specialty prescriptions compared to about 1.4 million brand-name prescriptions and about 8.9 million generic prescriptions in 2017. Insurers—including Aetna, Anthem, Cigna, Kaiser Permanente and UnitedHealthcare—reported spending upwards of $606 million on specialty drugs, $271.3 million on brand-name drugs and $172.6 million on generics in 2017. In all, insurers reported that per member per month drug spending reached about $81 last year, or about 16.5% of premiums in 2017, comparable to per member per month spending of about $76 or 16.3% in 2016. Total health insurance premiums per member per month were about $491 in 2017, compared to about $470 in 2016. Specialty prescriptions on average cost about $2,361 per prescription compared to about $236 for brand-name prescriptions and $29 for generics. Members typically pay about $113 per specialty prescription while insurers said they pay about $2,248 per specialty drug. They report members pay about $45 per brand-name drug, while insurers pick up $192 of the tab for brand names. And they report members typically pay about $10 for generics on average while insurers pay about $19. The most frequently prescribed specialty drugs included HIV drug Truvada, immunosuppressant Humira, insulin therapeutic Humalog, diabetes drug Victoza and hormonal agent Androgel. The most costly specialty drugs by total annual prescription drug spending included Humira, arthritis drug Enbrel, Truvada, psoriasis and psoriatic arthritis drug Stelara and multiple sclerosis drug Copaxone. Anthem posted strong operating results in the third quarter of 2018. 1. Anthem’s operating revenue grew 4 percent in the third quarter of this year to $23 billion, up from $22.1 billion in the same period a year prior. The health insurer said premium increases and the return of the health insurance tax in 2018 positively affected operating revenue, as did growth in its Medicare business. 2. Anthem’s reduced footprint in the individual ACA exchanges, local group and Medicaid plans contributed to a year-over-year decline in membership in the third quarter of this year compared to the same three months in 2017. Anthem lost 753,000 members year over year and now has 39.5 million members. At the same time, Anthem grew its Medicare membership year over year by 267,000 members in the third quarter of this year through acquisitions and organic growth. 3. Anthem trimmed its medical loss ratio, or the amount the health insurer pays toward medical care versus overhead costs, to 84.8 percent in the third quarter of this year. That’s down from 87 percent in the same period last year. Lower taxes and better medical cost performance in its commercial and specialty insurance lines contributed to the improvement. 4. Including expenses and nonoperating gains, Anthem ended the third quarter of 2018 with $960 million in net income, up 29 percent from $747 million recorded in the same period last year. Anthem has entered a new partnership with retail giant Walmart to offer members access to over-the-counter (OTC) medications. Beginning in January, Anthem’s Medicare Advantage members will be able to use OTC plan allowances to purchase medications and other supplies such as support braces and pain relievers, the two companies announced on Monday. Previously, MA beneficiaries with OTC allowances could purchase medications through a catalog or by calling a designated number. Some members were provided a card they could use at a limited set of retail stores. The new partnership significantly expands access to OTC drugs and supplies by allowing members to make purchases at any of Walmart’s 4,700 locations. “The program with Walmart will allow consumers to pick the shopping method that best fits their lifestyle and the initiative is expected to significantly reduce the out-of-pocket cost burden for those enrolled in Anthem’s affiliated MA health plan,” Anthem spokesperson Hieu Nguyen said in an email. Walmart says 90% of Americans live within 10 miles of a Walmart. The partnership will also give members access to free two-day shipping on orders $35 or more. Interestingly, the partnership comes months after Walmart was reportedly considering an acquisition of Humana. Slovenski, the former vice president of innovation at Humana, joined Walmart last month.